Have you struggled with these problems? I don't know what to practice and I don't have much time. I work full-time and have a family, so practice time is very limited. Is there a quick routine I can follow to keep in shape and enjoy practicing? I don't understand how to read music – it makes no sense. But I want to learn how to do it so I can pick up a music book and play it without someone always helping me. I just want to play my favorite songs. Why do I have to read these boring exercises? My tone quality is not very clear and my range is limited. I'm embarrassed to play in front of others. I'm getting an “airy” sound on my saxophone and I don't know why. My horn is new and I am using a new reed. How can I fix this problem? I play trumpet and just got braces. My concert is next month. I lost my range and have to play some pretty high stuff. Help!?!?! I get really nervous before a concert. How do I not get so nervous? Donna Schwartz Music can help! desiring to understand and read music, then you are in the right place! With over 27 years of teaching experience, both in public schools and privately, I want to help you enjoy making music. Sign up below for free weekly newsletters and articles that can give you some great ideas and inspiration! Ms. Schwartz gave me my foundation in music and for that I will always be grateful. She worked to improve my tone, technique, and articulation when I first learned to play the alto saxophone at age 10, and went above and beyond in helping me practice outside of class and realize my potential as a musician. I have never had a music teacher as dedicated or as enjoyable to learn from and highly recommend her for private lessons. Laura S.
Donna’s musical career can be best described as the “comeback kid“. At age 9 she was not able to produce a sound on the trumpet for three months, but by the age of 11 she became one of the best performers in her elementary school (and in Nassau County). Her dentist forced her to quit trumpet due to getting braces, but she was later able to convince her dentist to change his mind. She fought her way back into the junior high band and experienced much success throughout high school – becoming a top trumpeter in her District and County Bands and Jazz Bands, and participating in All State Wind Ensemble and NYS Summer School for the Arts. She suffered another setback in college, when her embouchure “gave out” and she couldn’t play. 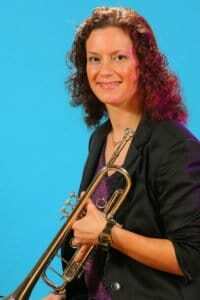 After studying with some of the best trumpet teachers in NYC, such as Vince Penzarella (NY Philharmonic), Mel Broiles, Ed Treutel, and Laurie Frink (Maria Schneider Jazz Orchestra), she fixed the problems she was experiencing, gaining a greater understanding of brass embouchures and became an expert in fixing embouchure problems. Over the years, she studied various ways of producing sound efficiently and is known for helping students fix embouchure problems and for playing effectively with braces. Donna has performed on trumpet in numerous churches, community orchestras and New York and Los Angeles metro area marching bands, as well as studio sessions for local popular music cover bands. Having always wanted to play the saxophone, Donna received guidance from a fantastic all-around woodwind performer, Alan Mandel during her undergraduate years. She picked up the saxes really quickly and went on to study with renowned Long Island teachers, Lou Doboe and Jeffrey Lange. 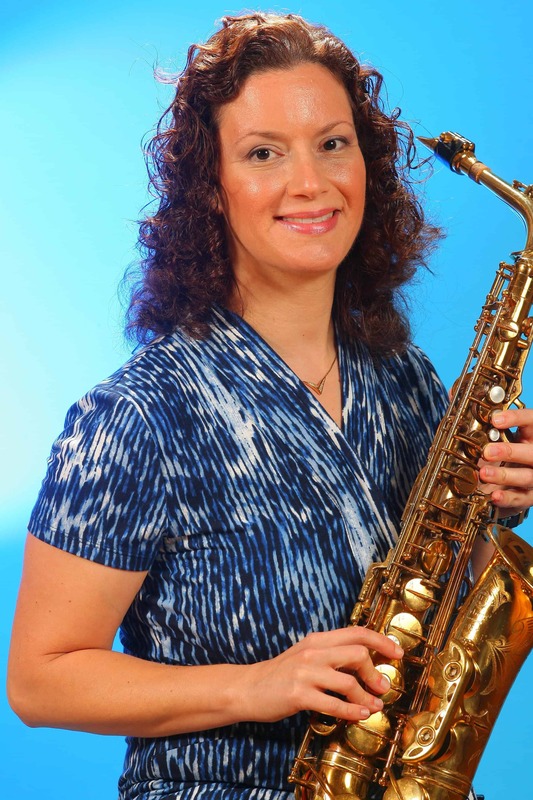 She learned and still utilizes Joe Allard's method of playing the saxophone, and has helped countless students develop fuller tones and more efficient ways of performing saxophone. She has since performed Blues and Rock in large theatres, concert halls and festivals across the NYC and Los Angeles metro areas with artists such as Vicci Martinez (Season 1 Finalist from The Voice), Richie Cannata (original saxophonist from Billy Joel's band), Bobby Rondinelli (drummer from Blue Oyster Cult and Black Sabbath), and Barbara Morrison, legendary Jazz vocalist. Guest Artist on 2 CD's by Dynamica Music: Domino Grey; Back in the Black, and more recently, Dream Field. Guest Artist on Amber Ferrari’s CD, Electric Blue, March 2013. Donna played all the horn parts on a track for a CD by NYC Rock band, Grimm Jack. Donna recorded some tracks on trumpet and saxes for a soon-to-be-released soundtrack for an indie film in Los Angeles, CA. Donna appeared on an EP release from Adam Exler, a singer-songwriter in Los Angeles, CA. Donna also recorded a track for Criss Angel’s Believe show, currently playing at The Luxor in Las Vegas. Donna believes strongly in the importance of music education for all school age children. 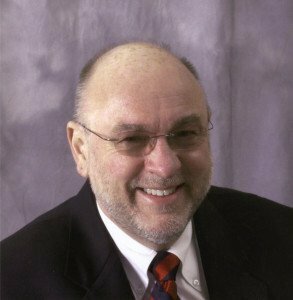 Her radio show, Music Teacher's Resource Guide, on the BAM Radio Network, has featured past guests such as world-renowned music educator and motivational speakers, Tim Lautzenheiser and Peter Loel Boonshaft. Listen here for advice and inspiration from Dr. Tim. Ms. Schwartz helped me become the musician I am today. I started from the very beginning, playing the bass clarinet under her guidance and she pushed me to do my very best all the time. She helped me qualify for All County Band after less than a year of playing, something I could not have done without her! She is incredibly patient and a fantastic teacher. I highly recommend Ms. Schwartz to any musician. Want practical tips and advice to improve your performance? Sign up for free weekly newsletters below!